February 20, 2019 Apex Legends’ new energy based assault rifle, Havoc, can now be found on King’s Canyon. Apex Legends’ first new gun will be revealed later today. The gun, which is named Havoc, was first discovered last week, but a tweet last night confirms the new weapon’s existence. Havoc was first uncovered thanks to the game’s first major update, in which weapons expert Bangalore was given a new voice line referencing an item’s perfect fit “if you have a Havoc or a Prowler.” At that point, the Havoc didn’t exist, but dataminers were able to uncover some more information to back up that original clue. A Titanfall dataminer who goes by Shampooh released a video last week discussing their findings. They suggested that the Havoc is “a full-auto assault rifle.” They also stated that the weapon would use energy ammo, and would have access to a charged-shot mode, information that seems to have been corroborated in the grainy video in that original tweet (which you can check out further down this article. Shampooh even goes on to suggest that it looks like Respawn was considering adding an explosive element to that charged shot, but that they’ve since decided against it. 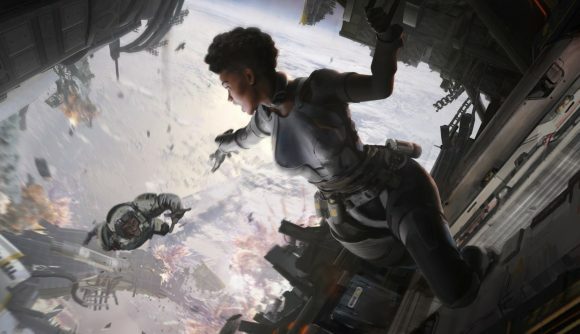 We already knew that there would be plenty more coming to Apex Legends – new weapons will appear alongside new Apex Legends maps and characters. What’s more surprising is the speed of the new arrival. Apex Legends has been out for less than three weeks, and new weapons are already on their way. There’s no release date for the Havoc just yet, but it’s likely that the new weapon will arrive in the game’s next update.